I am so pleased to join Multicultural Kid Blogs, and a wonderful group of bloggers in a month-long series celebrating MLK Day celebrating the legacy of Martin Luther King, Jr. American pastor, activist, humanitarian, and leader in the African-American Civil Rights Movement. During this month you’ll find suggestions on great reads about MLK as well as activities, crafts, and more! Today, we’re sharing with you community service ideas for you and your kids. Community service is a great way to honor Martin Luther King, Jr.’s legacy. 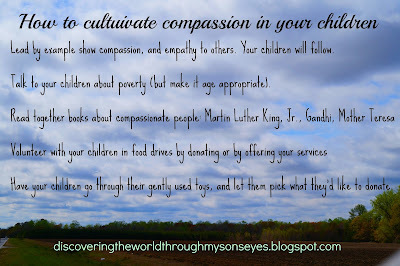 These are just a few ways you and your kids can serve the community you live in! 1. 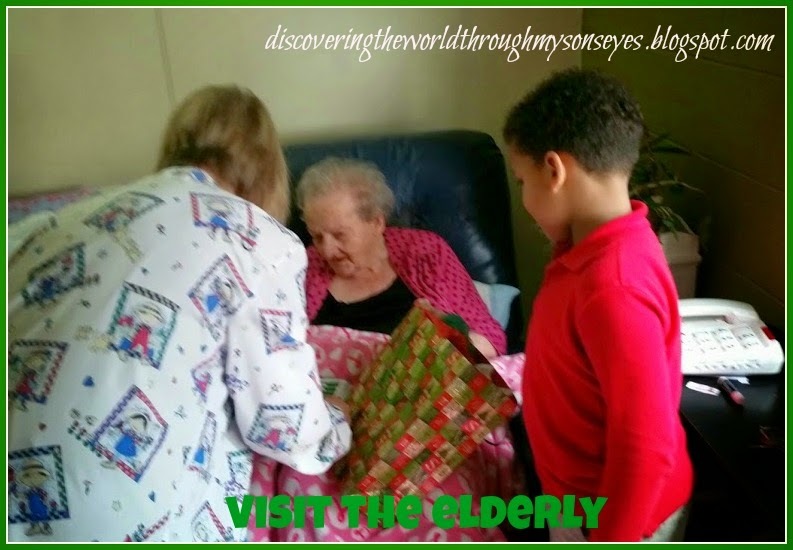 Visit the elderly in an assisted living facility or convalescent home. 2. 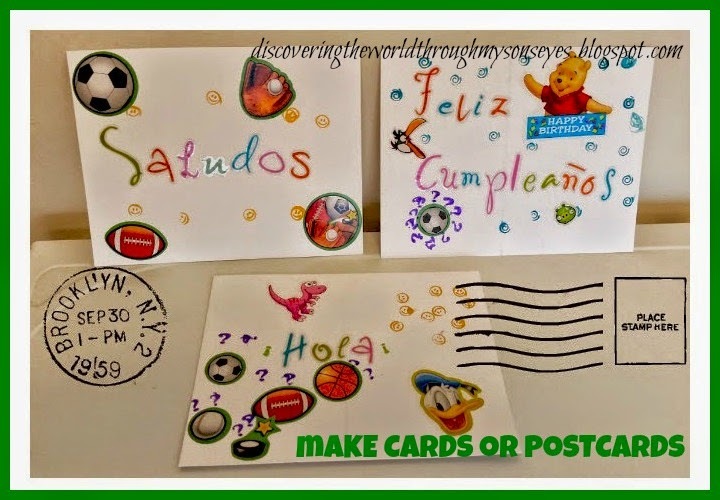 Make cards to hand-out or mail to seniors, military or sick patients in hospitals. 3. 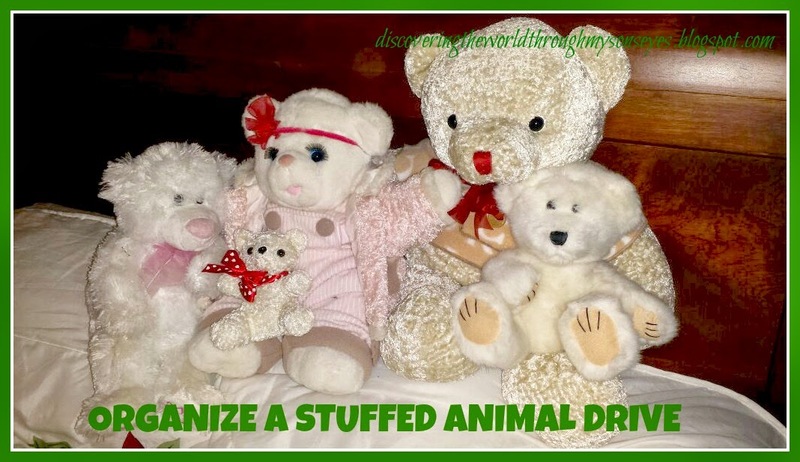 Organize a stuffed animal drive, and donate them. 4. 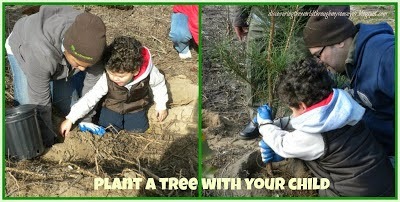 Plant a tree with you child. 5. 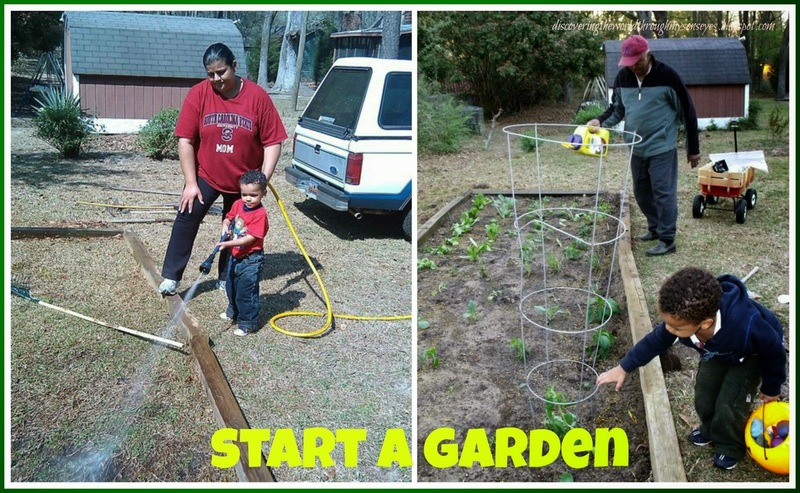 Start a garden, and donate the vegetables to a local harvest co-op. 6. 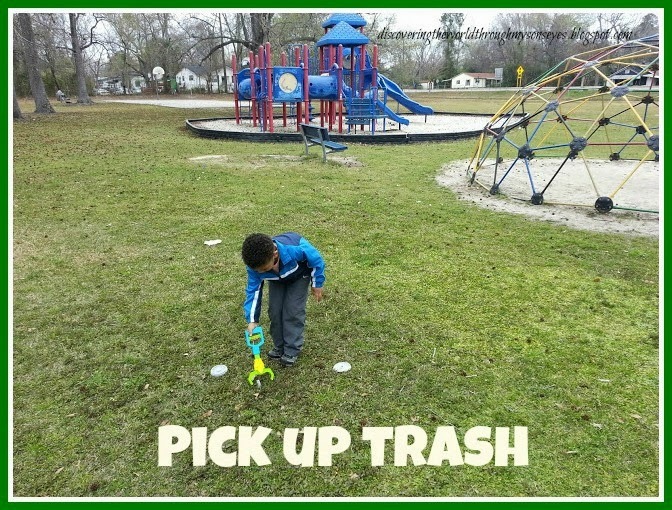 Pick up trash at your local park or playground. Make sure you pin, follow or bookmark +Multicultural Kid Blogs for more Martin Luther King Day for Kids. How will you celebrate this month with your kids? 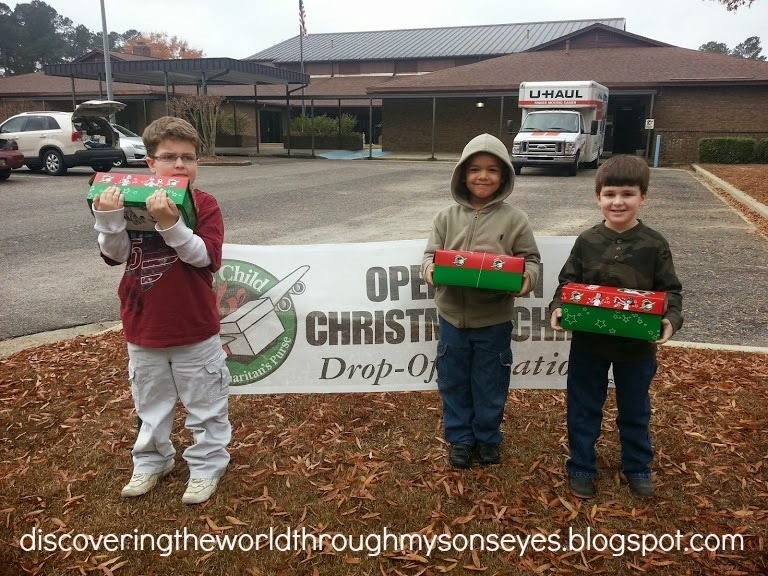 Christmas time is indeed the season for giving! It brings great joy to me to pass along to our son the gift of giving, and for him to think of others during this joyous season. It’s not all about him, Santa, or the gifts that he’ll be getting but about making others happy through random acts of kindness. 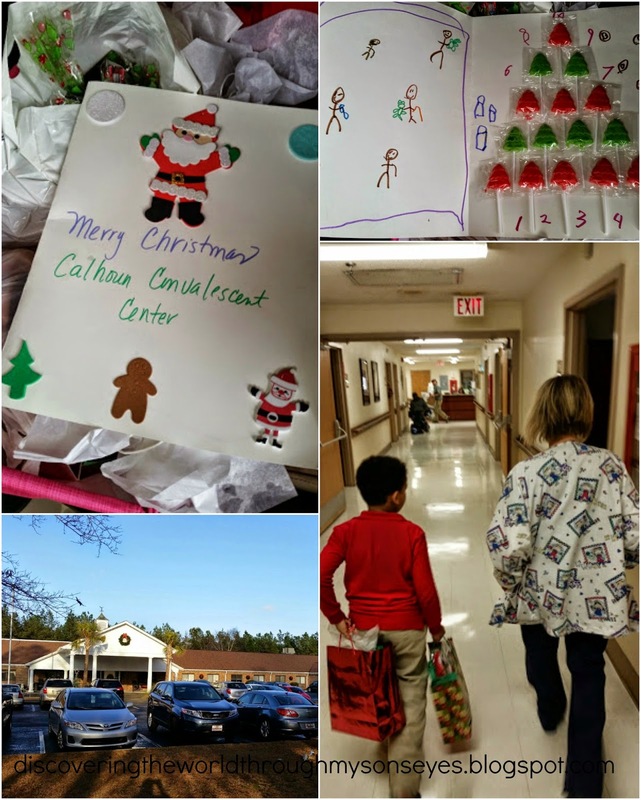 This year we made gifts bags for the elderly in a convalescent center close to our home. I called the coordinator in charge of donations, and made an appointment to see her. We were blessed to have the opportunity to personally gift two amazing elderly ladies who love to write, and color. 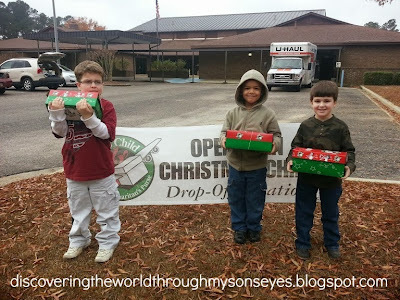 Little one personally handed them the gift bag, and saw first-hand how amazingly grateful they were. The rest of the gifts the coordinator was going to give them out on Christmas day during their annual Christmas party. You may be wondering what did we gift? Little one and I had been talking about giving away “donating” some of his stuffed animals. I know it was hard for him to let go, but I wanted him to know that he’d be making someone else very happy. He went through his gently used stuffed animals and picked out the ones we were to gift. I washed them, and put them in gift bags with some tissue paper. He also helped me fill 25 goody bags that included pens, pencils, erasers, note pads, and home-made book markers (from upcycled Christmas cards from years past). The supplies I had purchased them during the after-school clearance sales, the pens were from past workshops, and conferences that I had been to. We filled 15 mini-stockings, and mittens that I found on clearance last year; and filled them with sample shampoos, and conditioners. Mostly these were samples that I got for free in the mail, and the others were from past stays in hotels that I’ve been collecting from our travels. Little one also made our traditional big lollipop Christmas card. We’ve been making them for years now, and you can see the instructions here. Making gifts doesn’t have to break the bank. With a little bit of planning, and help from your children you can certainly make meaningful, and special gifts. Do you nee more inspiration? Not sure where to start? My dear friend Leanna from All Done Monkey has suggestions, and ideas on committing random acts of kindness for you and your children. I am so blessed to be participating this year again for the Stamp Out Hunger Food Drive! This is our 3rd year helping stamp out hunger! We are part of this nationwide food drive! Tonight little one and I will look in our pantry to fill up the bags with non-perishable items. We will leave it at by the mail box first thing in the morning before our mail carrier delivers our mail. We have our bags ready! Do you? I am a member of the Multicultural Kid Blogs, and I couldn’t be any happier to join them in celebrating a Martin Luther King, Jr. Day of Service by challenging their readers (and ourselves!) 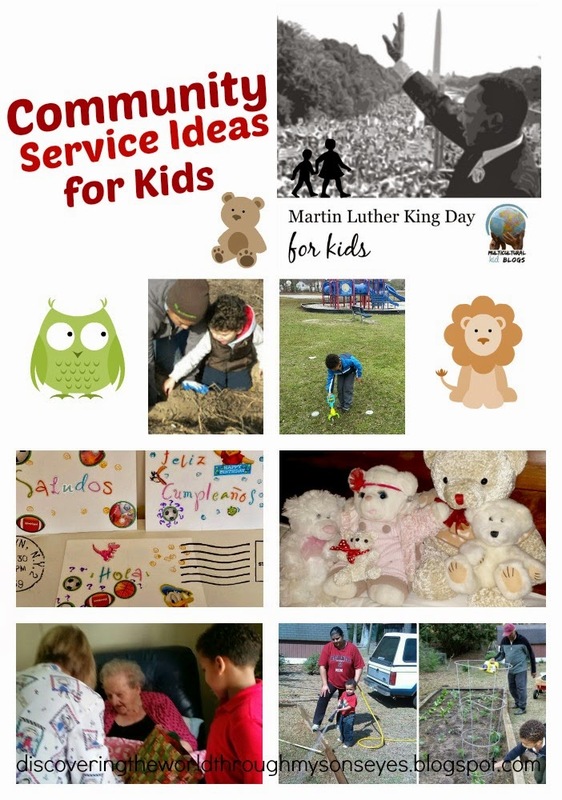 to take the time to do service with our children.To celebrate this day a group of wonderful bloggers are sharing ideas about the kinds of volunteer work they have done with their kids. You can check all of the bloggers below! Just make sure to scroll all the way to the bottom. From a very young age we have been instilling in our child the values that we believe in – teaching him to be kind, and to serve others. Martin Luther King is the perfect day to highlight acts of service, and teach him to “live the dream.” Martin Luther King’s dream: “One day live in a nation where they will not be judged by the color of their skin but by the content of their character.” I read to him two books about Martin Luther King, Jr. although intended for older children we were able to discuss King’s legacy, and acts of service. Plant a tree – we are going to wait until Spring to plant a tree. Make cards for elderly folks at a nursing home – I’ve been saving a collection of random pictures and drawings that our son has made to make them into cards. 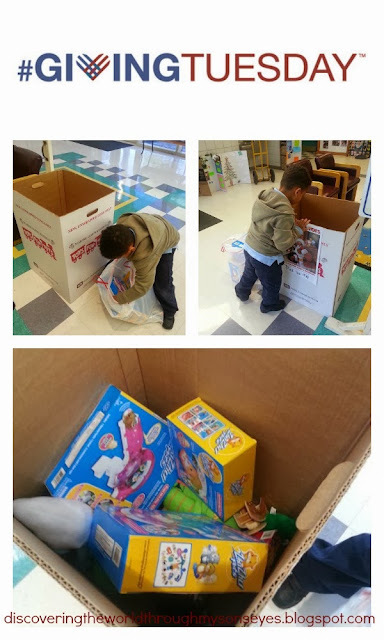 Book drive -we’ve asked his friends to donate books that they longer read to a child in need or to a local hospital or shelter. Help clean up a local park – we did this using a grabber. Share your own ideas in the comments or by linking up below! You can also join the discussion in our Google + Community! For some ideas on doing volunteer work with kids, browse our list of family-friendly service projects or great organizations to support. You can also follow our Teaching Global Citizenship and Black History boards on Pinterest. Stamp Out Hunger National Food Drive is an initiative to help feed America’s hungry. 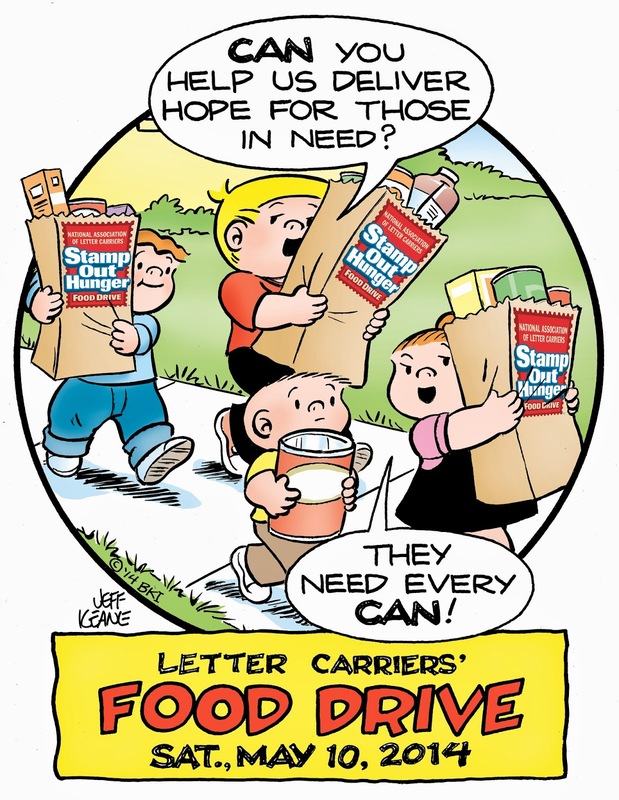 Every year on the second Saturday of May letter carriers deliver our mail, and at the same time pick up donated food items from families across the country that are left by their mailboxes. The donated food items are taken back to the postal station where they will be sorted, and delivered to a food bank or pantry for needy families. Last year was our first year participating in Stamp Out Hunger. Last year’s donation to Stamp Out Hunger. 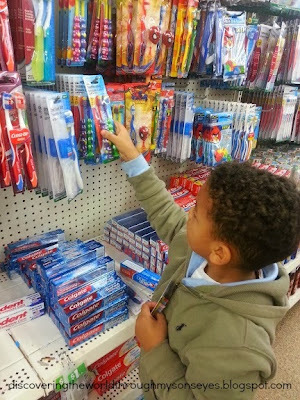 Sixty food items purchased by shopping for items on sale, and using coupons. 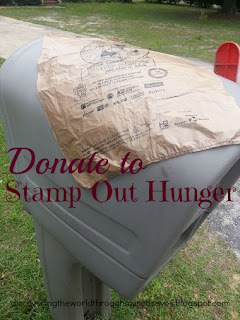 For Stamp Out hunger I purchase food items on sale, and I also go through our pantry with little one for canned goods. 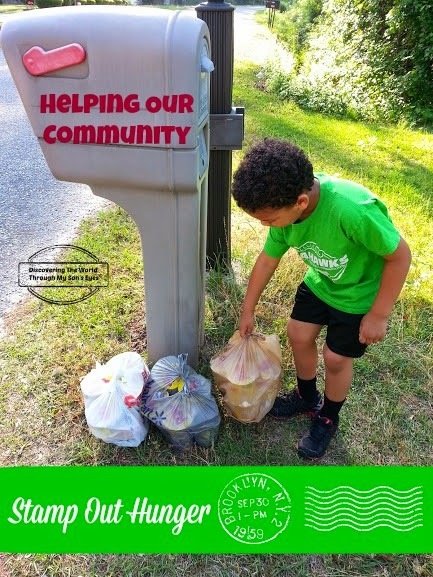 On the day before collection, little one helps me put the food items in bags, and he and his Daddy place them by our mail box. As we’re bagging the food I use this moment as an opportunity to talk to my son about how other families are not as fortunate as we are, and that it’s a blessing for us to be able help them. I pray that doing this as a family we are instilling in our son the gift of giving, compassion and helping others. We’re so blessed to be able to participate this year in Stamp Out Hunger, and we would love for every family to look into their pantry. 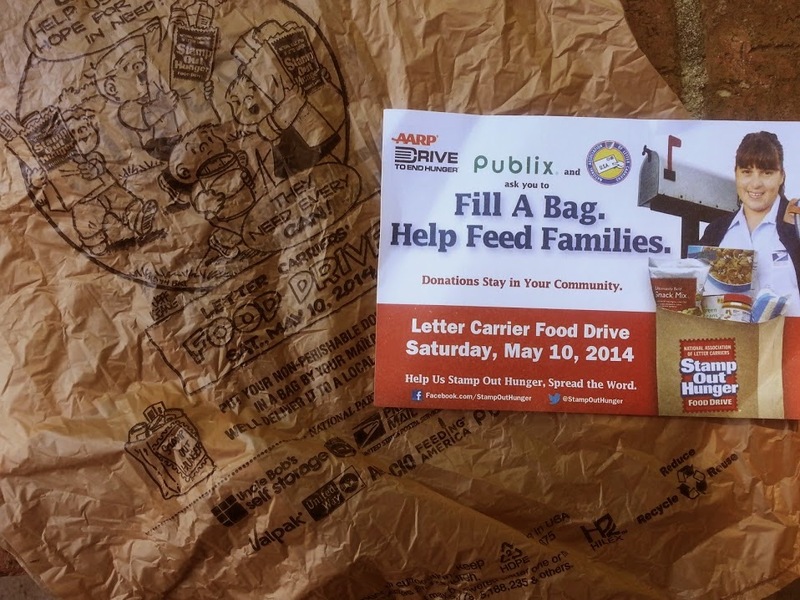 Even if you just leave one can of food in your mailbox that would make a huge difference. Every little bit counts! So check your pantry, and see what food item you can donate. Thank you in advance, and may God bless you abundantly! I would love to hear from you! Please comment, like, share or pin. 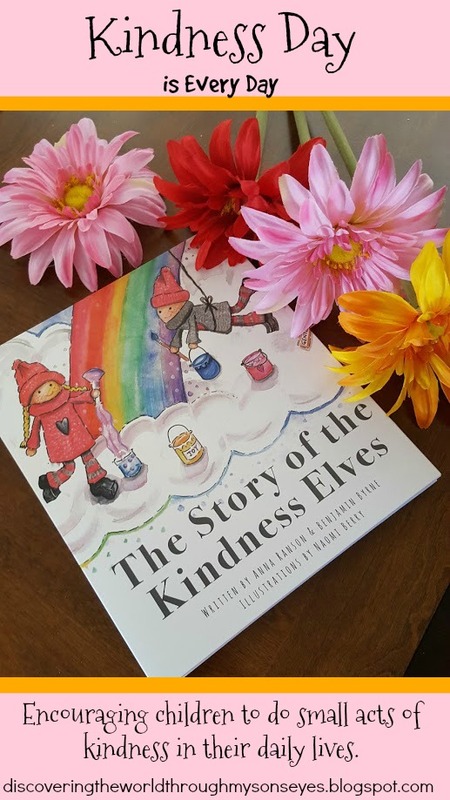 So excited about my guest post for All Done Monkey’s Random Acts of Kindness Challenge Thank you Leanna from All Done Monkey for taking on this initiative, and allowing me to participate. This is a new series from All Done Monkey where a group of amazing bloggers (including myself) have joined forces to take the challenge! This weekly series is inspired by a blogger that dedicated her birthday to commit random acts of kindness with her children.